In the current disruptive state of the retail industry, retailers are grappling to improve their strategies to maintain and grow their current base of customers. In our role as architects, we’re witnessing numerous trends emerge, from cashierless transactions, online shopping pick-up kiosks, to robot-led stockrooms. One of our roles is to help our retail clients find ways to thrive in a market in which the customer is faced with so many options. Yet, we see consumers continue to evaluate purchasing decisions based on four criteria –Price, Convenience, Desire/Demand and Experience. When evaluating purchase options based on Price, Convenience or Demand, the consumer is attempting to make the decision based on some sort of logic or rationale. When the consumer weighs the options between those three criteria, the decision becomes more complicated and matter of personal circumstance or even emotion. At the center of all these factors is the customer experience, and this has the biggest impact on a customer in today’s retail climate. Experience is comprised by the culmination of these factors, plus our emotional response to the product, brand, in-store experience, etc. Experience is influenced by a consumer’s thoughts, beliefs and expectations for a brand or product, as well as the satisfaction or dissatisfaction with a product or brand after a purchase has been made. Experience is at the heart of most purchasing decisions. To keep patrons shopping at their stores, brick and mortar retailers are putting more focus on experience, and they are putting more thought and effort into their store design, fixtures, décor and the overall storytelling of their brand. The customer experience is also where we, as architectural designers, can have an impact on the way that consumers experience a store and the brand. 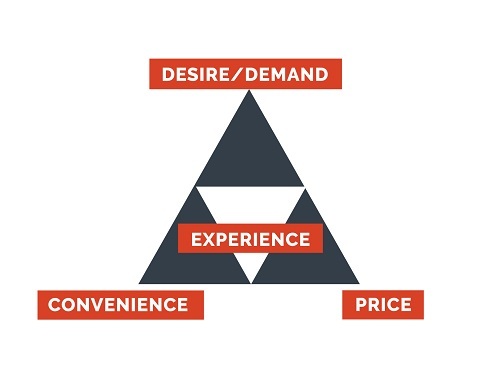 The way that experience is shaped through store design will vary based on the retailer’s goals and value proposition. In future posts, we’ll be addressing further the idea of customer experience and customer service, and how smart planning and design can truly influence a customer’s journey. 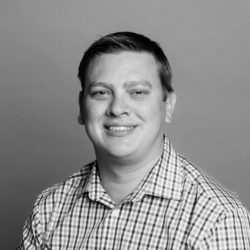 Ryan Rosche leads our team in Austin, and works with retail and grocery clients on projects across the U.S. He partners with our clients to gain additional perspective to brand initiatives, how they’ll be implemented, and their impact to the retail industry. Email him. 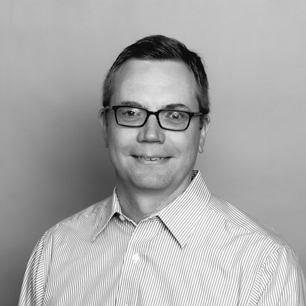 Matt Henderson has more than 20 years of experience in the architecture and construction industry, and is part of BRR’s business development team, with specific focus on the retail sector. Email him.